Primary historical records on the cemetery in Cemetery Reef Gully are scant. Its origins lie with the great Mount Alexander alluvial goldrush of 1851-54. 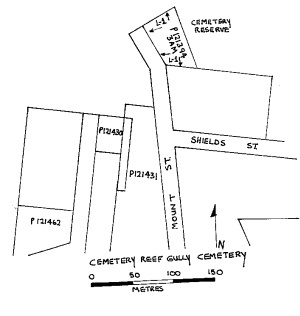 Like the other small cemeteries linked to this rush, the Cemetery Reef Gully Cemetery would have closed c.1857. The cemetery is situated at the head of a gully that drains directly into Forest Creek. Gold seekers, in the frenzy for gold, chose a convenient patch of ground where gold was unlikely to be found, but one which was totally unsuitable in terms of the effect it had on the hygiene of those working and living along Forest Creek. The Cemetery Reef Gully Cemetery is of historical, archaeological and scientific importance to the State of Victoria. The Cemetery Reef Gully Cemetery is historically important due to its association with a key event in Victoria's history and a defining moment in the development of Australia's character and culture. The cemetery is associated with the first significant rush to the district. The Cemetery Reef Gully Cemetery is historically and scientifically important as a very rare artefact of Victoria's greatest gold rush. 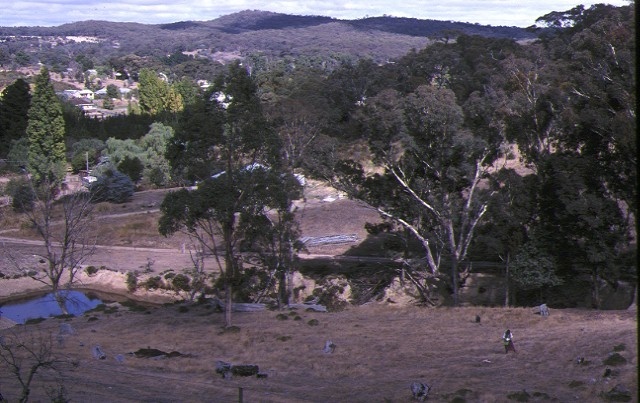 A comprehensive archaeological survey of the Castlemaine district undertaken in 1989 concluded that ' because of the ephemeral nature of structures and technology (predominantly, timber and human sweat) employed in the early gold-rush days there is little physical evidence of the intensity of activity and cathartic social experience sustained by the study area during the rush years'. 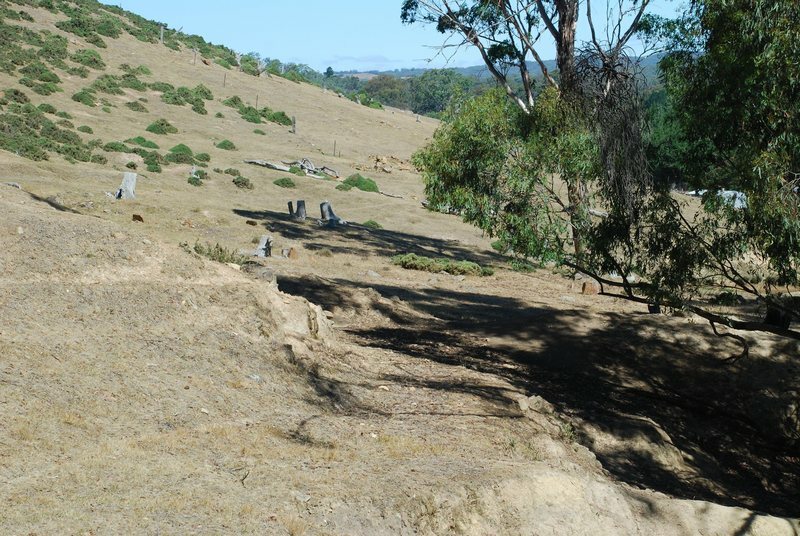 The significance of this site is also derived from its setting: the cemetery overlooking the heart of the Forest Creek diggings and the township of Chewton. Cemetery Reef Gully Cemetery, Mount Street, Chewton, Mt Alexander Shire Council. 1. All of the land marked L-1 including above-ground structures (headstones, stone mounds and alignments), and all archaeological deposits and artefacts on Diagram 608092A held by the Executive Director being all of the Cemetery Reserve, Parcel 121394, Allotment 3A, Parish of Chewton, County of Talbot. From visit August 2017 by Bill Barlow. The only gravestone with discernible words is lying down at the head of stones marking the grave of a child, Joseph Barnes 'the only beloved son of Jas [James] and Alice Barnes from Fleetwood Lancshire who departed this life Oct 8th 1855 aged 2 years and 6 months'. See Ottery, Early Gold Mining at Chewton. Davison, Grave Reflections. Bowden, Doctors and Diggers. Joseph drowned accidentally after falling in a waterhole. Portland Guardian 25 Oct 185, p.2.